Kye Petersen is a favorite to watch in ski films year after year because of his hard-charging, yet seemingly effortless style. At the age of 14, he made his debut in 2004's WSKI 106, a Tanner Hall and Eric Iberg film, and has established himself as a mainstay in the sport with his performances ever since. 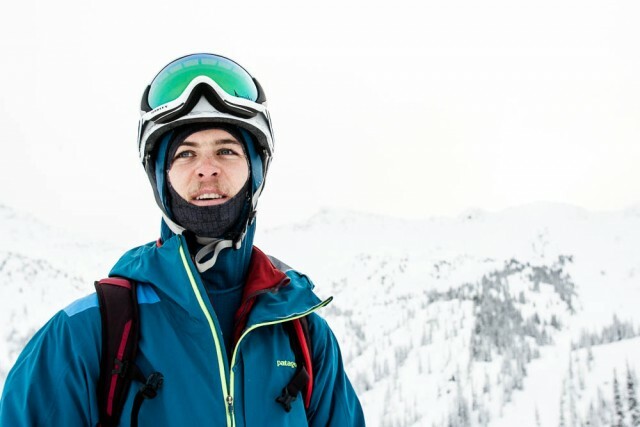 Petersen has also filmed with Teton Gravity Research and Sherpas Cinema, earning himself four Powder Awards along the way. Most recently, he won both the Full Throttle and Best Natural Air awards in 2012 for his aggressive, memorable appearance in All.I.Can by Sherpas Cinema. In 2009, Petersen starred in The Edge of Never, a documentary centering on him skiing the line in Chamonix that killed his father, legendary extreme skier Trevor Petersen. Last winter, though, Petersen set out to capture his skiing in a different way. The 25-year-old directed and stars in his first personal project, titled In Search. 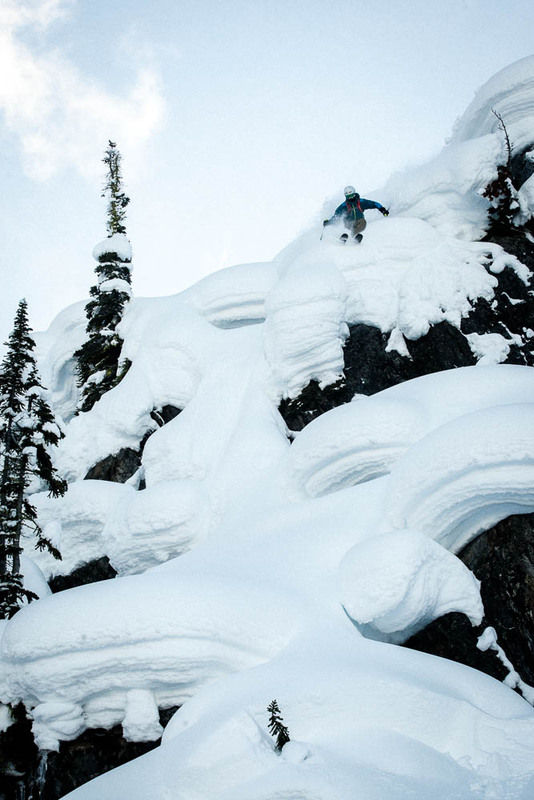 The full film was released today and features the Pemberton-based skier hitting big lines, floating down stacks of pillows, and airing it out in the style that we have become familiar and infatuated with over the years. We took the chance to chat with Petersen about the project, and after seeing the trailer we are anxious to see the full release. What was the inspiration behind In Search? The whole idea is just to make a full video part. I haven't been able to actually put a full segment together pretty much ever because I've always been working for other people on their projects. Even with Sherpas (Cinema), I'd shoot a bunch with them for two years and then 20 percent or 25 percent of that footage would make the movie, and I'd have all of this extra footage that I'd be sitting on. So this year I just decided to gather all the footage. It pushes me to push myself when I know I can put everything in one place. That's awesome. So what can we expect to see when the film drops? The main focus behind this project was to shoot the kind of stuff that I ski on a regular basis. I've definitely veered away from just trying to huck bigger and bigger cliffs and sending gnarlier tricks. For me, it's more about trying to find unique features to do those tricks off of and find unspoiled natural terrain. Just being able to ski the mountain top to bottom and flow like a ball rolling down. And just do a flat spin where it works or do this where it works and just make it look fun. That's the kind of stuff that gets me excited to keep searching every year. So is that where the name "In Search" comes from? In the spring of 2014 I found some really cool new pillow zones around my backyard. And I had that drive to go out farther and shoot stuff that not everyone else was shooting. So if I can find a zone that's got, like, 10-stacker pillows on it, obviously that's what we're looking for. So yeah, basically that's where it came from. Where did you film last winter? The whole film was shot in BC and Alaska. It was just my kind of standard season, following the places I love and searching for new zones in my backyard. We did a trip to the Mount Waddington Range, and that's going to be a different segment to the rest of it, just with a bit more of an adventure element. What was the Waddington trip all about? We just flew in, set up a basecamp, and were touring from there. 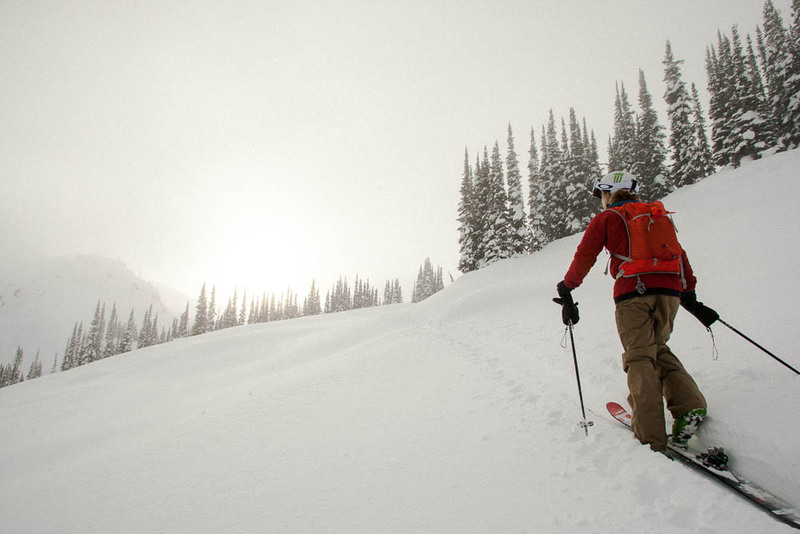 We got hammered by a big storm, got two days of sun, and skied that big line the second day. The Gerbolet Couloir is the name of the run. It's on Mount Shand. We were super lucky to get that line. It had only been skied once before, too. It was sort of my prize line of the year, probably the steepest line I've ever skied in my life actually. Are you getting excited to finally put this out there for people to see? Whenever you put a lot of work into something it's always kind of exciting to see the outcome. I just want people to be psyched on skiing when they watch it and just want to go hit fun pillows or do little 360s on the side of the cat road or whatever. For me, it's a lot about the style of skiing, not exactly the craziest skiing, but just the kind of stuff that people think is fun, you know. So that's what's most exciting to me, is just to get people psyched on that kind of shredding. I like to see kids that want to go out and just ride the mountain. How has this process been? Do you want to keep producing your own projects in the future? It's been a super rad experience. I'm just trying to finish up this project right now, and then I can start thinking about it a bit more. I don't know exactly what I'll be doing, but I do know that every year I want to be bringing out some sort of season edit. It's the kind of thing that I want to continue doing from now on.